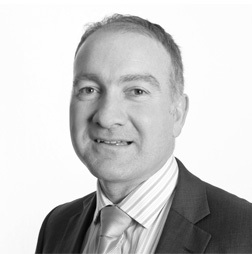 Phil originally joined LTSB Bank where he worked for 13 years in Banking and Financial Planning before joining LTSB Private Banking High Net Worth division as an IFA where he remained until founding CDC Wealth Management in 2006. An experienced Ultra High Net worth IFA in all areas of personal financial planning, having a Diploma in Financial Planning, Phil is responsible also for the compliance function of CDC. His philosophy is ‘I gain great satisfaction from dealing with individuals who are unsure how to plan and organise their financial needs and helping devise a bespoke plan to help them achieve these goals. My aim is to develop a relationship of respect and trust, meeting regularly and becoming the family’s financial planner’. When not working, he enjoys being involved in all sports in particular football, golf and cricket. Participating in golf on a regular basis and trying to keep fit. He has a love of good food, wine, cars and his family.